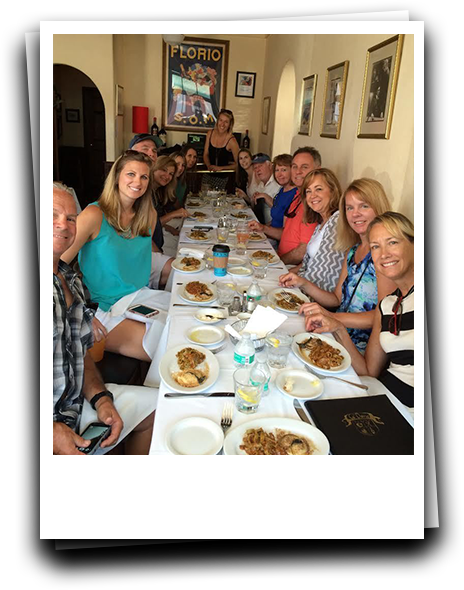 This culinary experience offers an intimate food walking tour of the mid-State Street area of downtown Santa Barbara and gives guests an up close and personal look into the local food scene. 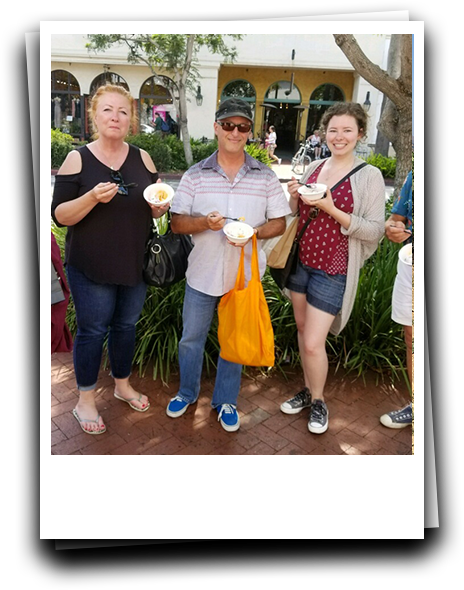 As we walk the streets of Santa Barbara, this food tour stops for tastings at six different shops and restaurants, where we taste and experience the best dishes and best restaurants that make Santa Barbara the great dining destination that it is. Our tour tastings vary, with some tours making stops at the Santa Barbara Public Market, and others stopping at areas like El Paseo and La Arcada. Throughout the day, guests will also become acquainted with historical places like the Arlington Theater, the Granada Theater, and the Santa Barbara County Courthouse. French pastries, Northern Italian dishes, noodle bowls, local wine, craft beer, handcrafted chocolates, tacos, ice cream, and East Coast deli fare are among the tasting options. We even sample sandwiches that have been featured on the Food Network. Partnering businesses include Renaud’sPatisserie, Ca’Dario, The Garden, Grassini Family Vineyards, Margerum Winery, Norton’s Pastrami and Deli, the Honey B Kitchen, Cebada Winery, il Fustino, McConnells Fine Ice Cream, Rori’s Creamery, Empty Bowl Noodle Bar, the Santa Barbara Public Market, and Chocolats du CaliBressan. On this fun food walking tour, guests will explore some of the city’s off the beaten path eateries and shops. This three hour tour starts just off of State Street, a few blocks from the beach, and ends in Santa Barbara’s Funk Zone, a funky industrial area that is home to art galleries, around 20 local wineries, gourmet restaurants, and even a local brewery and distillery. Over the course of the tour, guests will learn about the history of Santa Barbara, the development of the Funk Zone, and will taste at six different locations. Handmade chocolates, craft beer, lobster bisque, bratwurst, sparkling wine, and artisanal baked goods are on the tasting menu. Partnering businesses include Chocolate Maya, Mony’s Taqueria, Enterprise Fish Company, the Nook, Riverbench Winery, Santa Barbara Winery, Helena Avenue Bakery, and Topa Topa Brewing Company. Price includes tastings at six different locations.